1. Pioneer ACO Model: will tap groups experienced in coordinated care working together loking in first two years for higher level of share savings and higher level of risk. By third year, if successful, the model will move to population-based model. 2. Advanced Payment Program: proposal to provide advance on shared savings with strong oversight. 3. Advanced Development Learning Sessions: four sessions proposed, starting June 20, 2011, with intense curriculums including executive teams to dive into what’s needed. First session on June 20 will focus on preparing for coordinated care opportunities. More info to come later from CMS Innovation Center http://innovations.cms.gov and from the major news sources covering health IT and CMS. Will catch up later on this at e-Healthcare Marketing. Emailed May 17, 2011 by CMS. The Centers for Medicare & Medicaid Services (CMS) today announced three Affordable Care Act initiatives designed to help put doctors, hospitals and other health care providers on the path to becoming Accountable Care Organizations (ACO) and improve health care for Americans with Medicare. First, the Center for Medicare and Medicaid Innovation (Innovation Center) is requesting applications for a new Pioneer ACO Model, which provides a faster path for mature ACOs that have already begun coordinating care for patients and are ready to move forward. Second, the Innovation Center is seeking comment on the idea of an Advance Payment Initiative that give certain ACOs participating in the Medicare Shared Savings Program access to their shared savings up front, helping them make the infrastructure and staff investments crucial to successfully coordinating and improving care for patients. Finally, providers interested in learning more about how to coordinate patient care through ACOs can attend free new Accelerated Development Learning Sessions. The Accelerated Development Learning Sessions will teach providers interested in becoming ACOs what steps they can take to improve care delivery and how to develop an action plan for moving toward providing better coordinated care. Together with the Medicare Shared Savings Program, the initiatives announced today give providers a broad range of options and support that reflect the varying needs of providers in embarking on delivery system reforms. CMS issued a proposed rule to implement the Medicare Shared Savings Program in March 2011 and is continuing to encourage and accept comments from providers and the public that will help strengthen the final rule. These initiatives are part of a broader effort by the Obama Administration, made possible by the Affordable Care Act, to improve care and lower costs. For more information about the announcement, click here. For a fact sheet, click here. For additional information about all of these initiatives, visit the Innovation Center website. Reminder -Please join us on Tuesday, May 17, 2011 for a conference call with Centers for Medicare and Medicaid Services (CMS) Administrator Donald Berwick and Center for Medicare and Medicaid Innovation (CMMI) Acting Director Dr. Richard Gilfillan to discuss new efforts to improve care for Medicare beneficiaries through Accountable Care Organizations. eHI Finalizes Jan 19-20 Annual Conference Agenda, Washington, DC. Featuring David Blumenthal and Joy Pritts from ONC, Keynote from Cokie Roberts. Panels on CMS Innovation, Looking Ahead to Stage 2 Meaningful Use, Outlook for Health Care Policy with New Congress, eHI Awards, Privacy and Health IT, Care Coordination in Real Word, Creating Accountable Care Organizations, Data for Quality Improvement, and Progress and Barriers at State Level: HIT Coordination Panel. –Democrat Perspective: David Thomas, Principal, Mehlman Vogel Castagnetti Inc.
–Republican Perspective: Alex Vogel, Partner, Mehlman Vogel Castagnetti Inc. 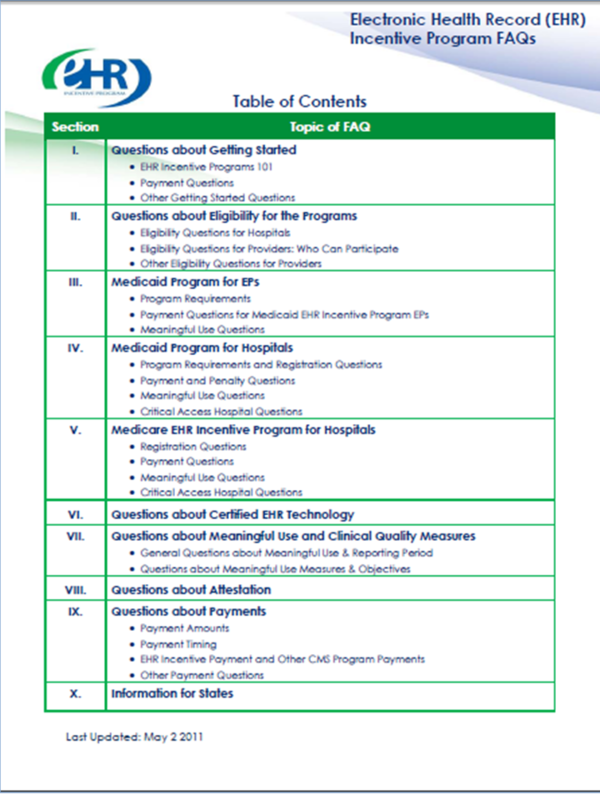 Beyond the rollout dates of January and February 2011 for 14 state Medicaid EHR Incentive Programs, Centers for Medicare and Medicaid Services (CMS) released the anticipated dates for the program to go live in the balance of the states and territories as of December 15, 2010. 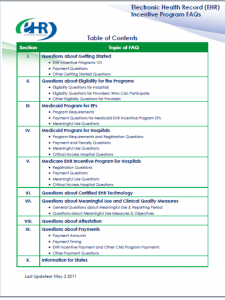 State and territory Medicaid information sites are also shown. 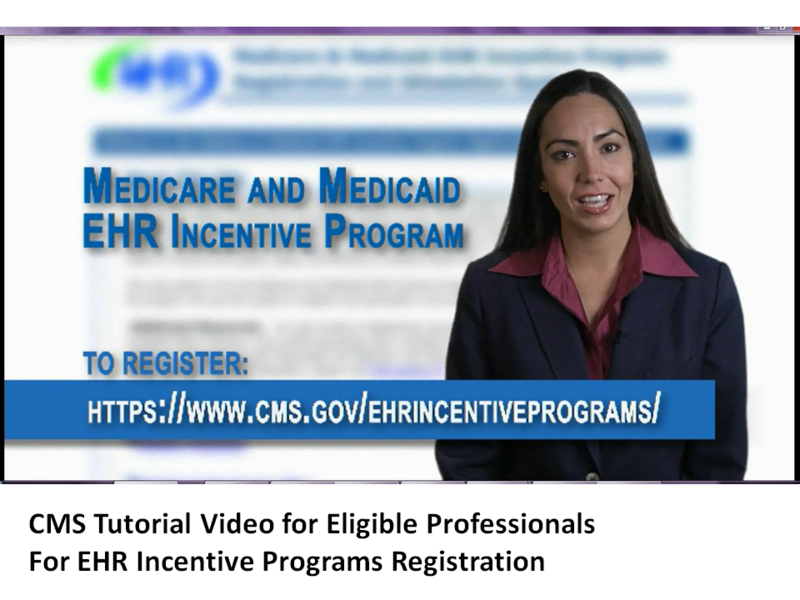 The CMS EHR Incentive Programs Spotlight Page listed the states that will have their State EHR Medicaid programs ready in the first two months of 2011. As of December 15, 2010.